After a year of hiatus, Assassin’s Creed is coming back with Origins, which is set to bring significant changes to the series. Players will embark this adventure as Bayek, a Medjay in Ptolemaic Egypt as well as the founder of the Assassin’s Creed Brotherhood. The single biggest change might be the genre, since this will be the first true action RPG in the franchise yet, packing a loot system and other genre staples. As RPG fans know all too well, often the true hallmark of a great roleplaying game is the quality of optional content, also known as side quests. On this subject, Game Director Ashraf Ismail (who worked on Assassin’s Creed IV: Black Flag) said in a video interview with GameReactor that Ubisoft Montreal really gave it their all. We’re about a thousand years before the first Assassin’s Creed. For sure, we play with that and we wanted not only to create a big world but also to make sure that the world is constantly fulfilling your needs, constantly rewarding your discovery. We want people that go off the beaten path to be rewarded by a discovery, a meaning, and so we fill the world with this kind of stuff. So, we’ve gone overboard into making sure that there’s a lot of optional content that will constantly surprise the player, show quality, show a narrative value, show the meaning of why this is the place the Brotherhood came to be. We definitely play with that, I want people to be lost in this world and to be in awe with the majesty of ancient Egypt. 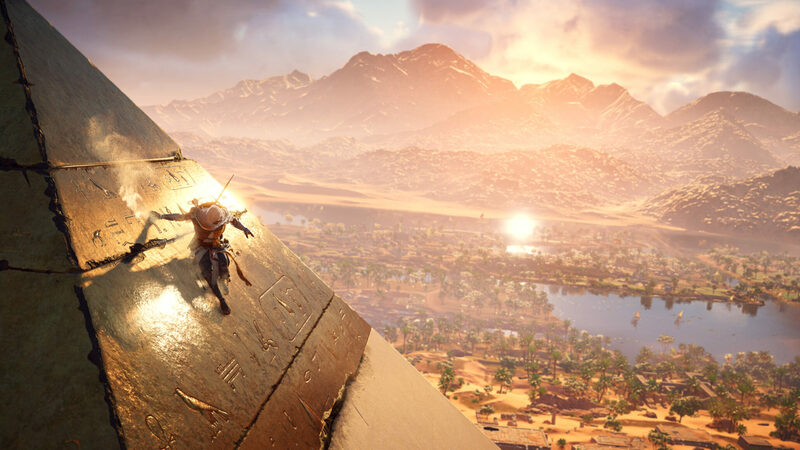 Considering that one of the main critiques often posed to previous installments was that optional content didn’t really have significant depth or meaning, this could be a major enhancement in Assassin’s Creed Origins. We’ll find out when the game launches on October 27th for PC, PlayStation 4 and Xbox One. Meanwhile, check out this huge development team Q&A if you want to know a lot more on the game.